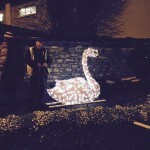 The Church Gate Collection for the Christmas Lights will take place next weekend. 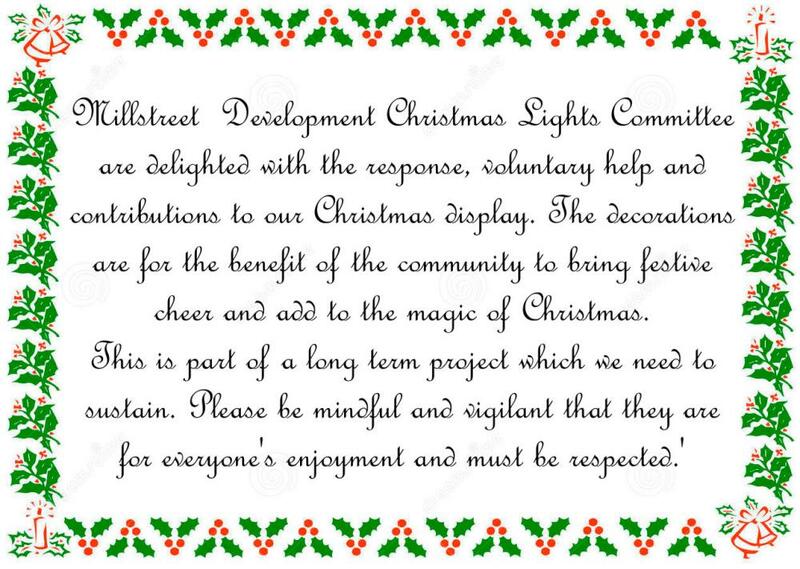 All contributions are greatly appreciated. 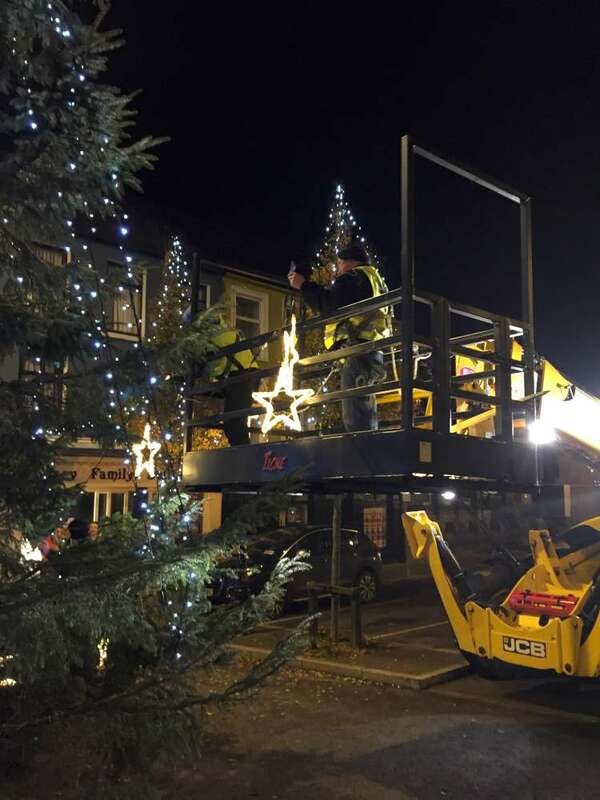 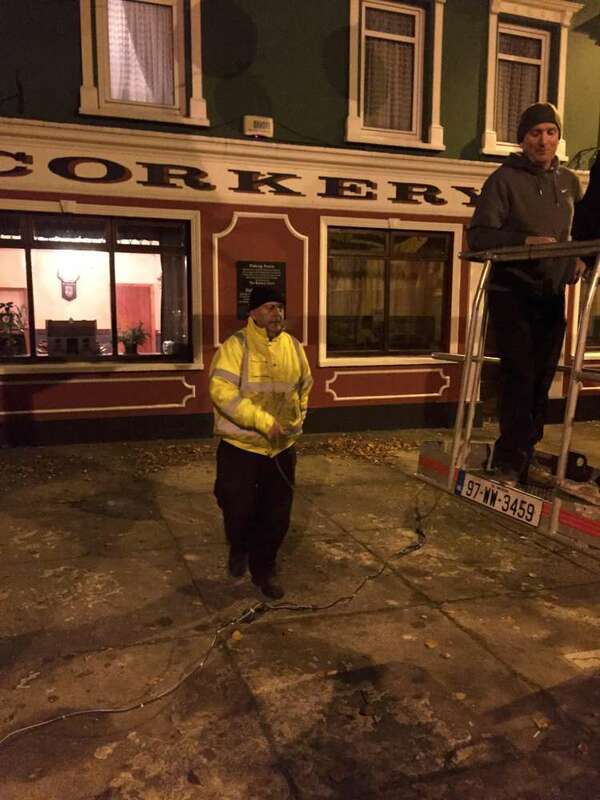 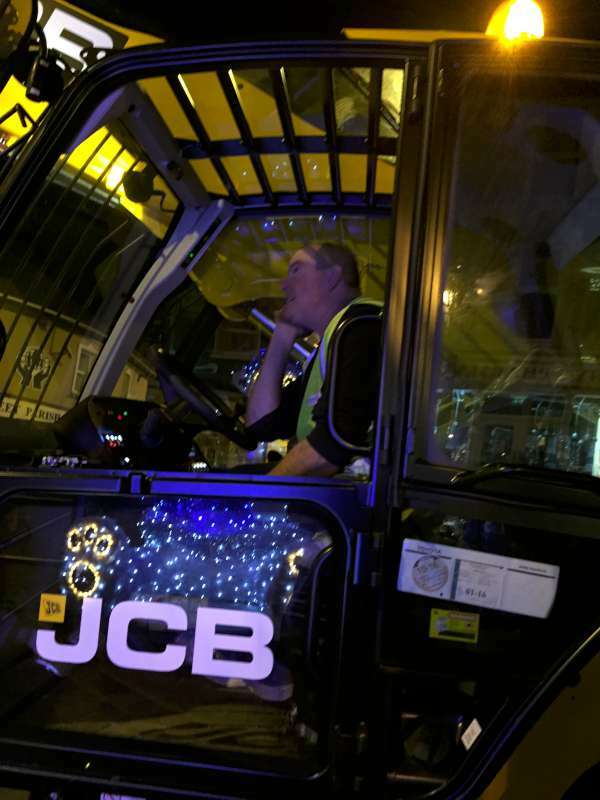 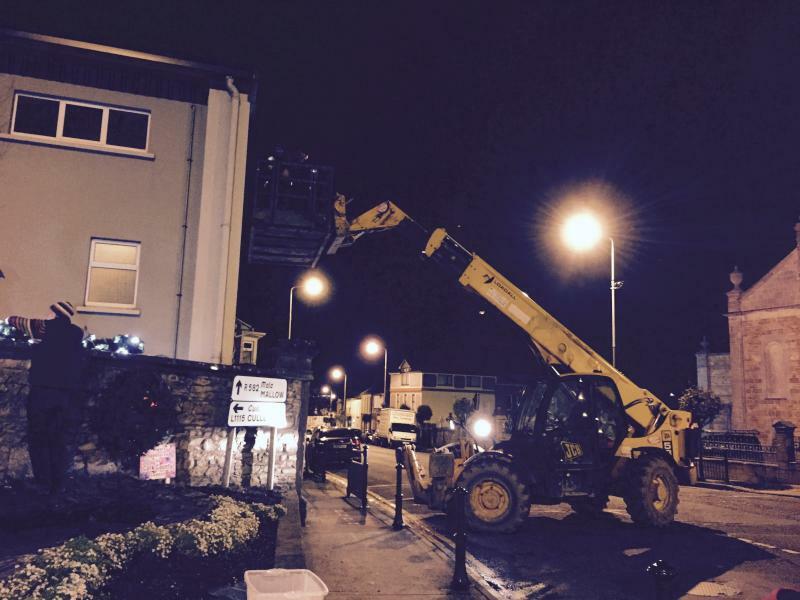 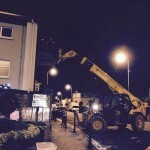 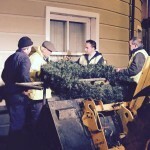 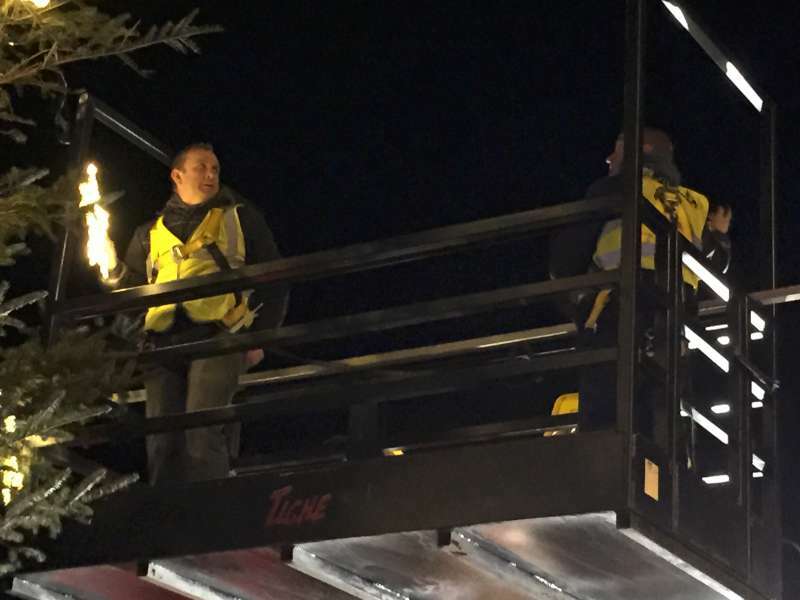 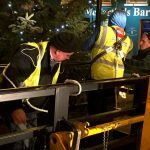 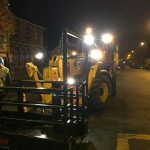 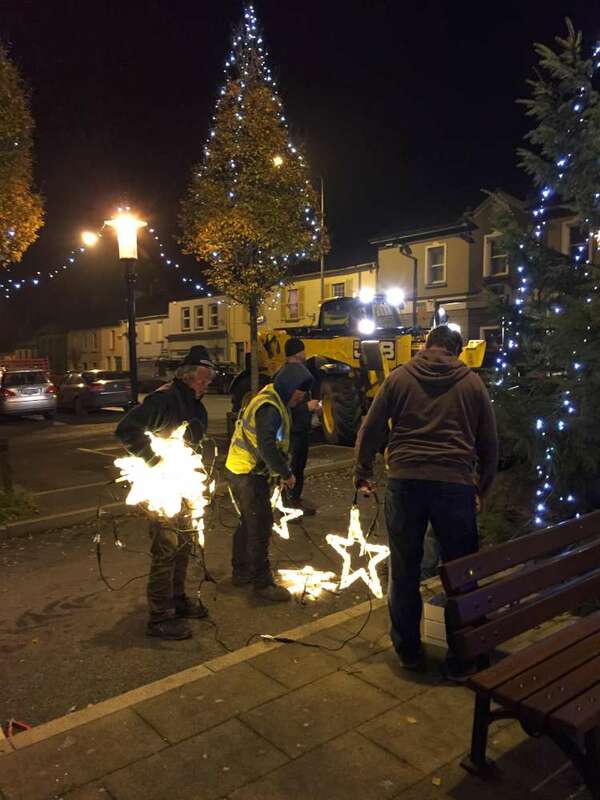 Stage one of the Christmas Lights was completed on Saturday. 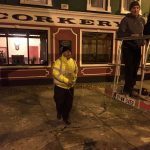 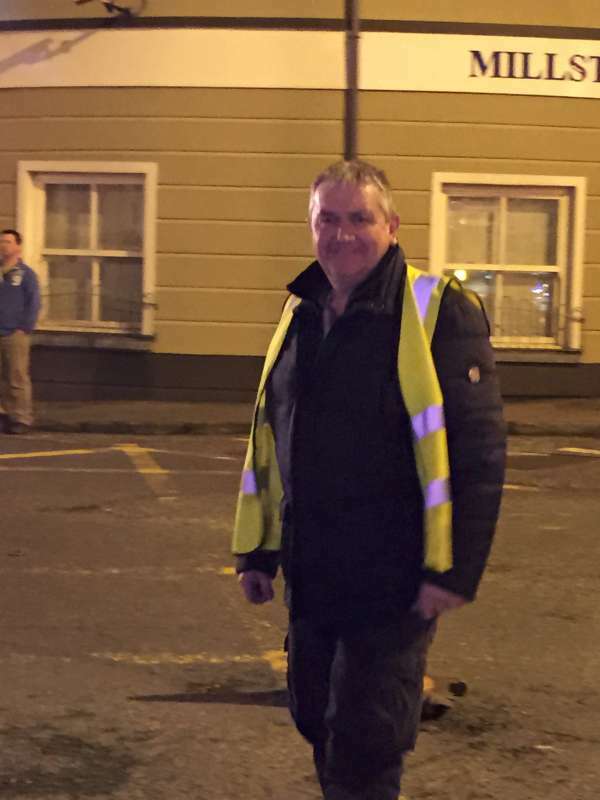 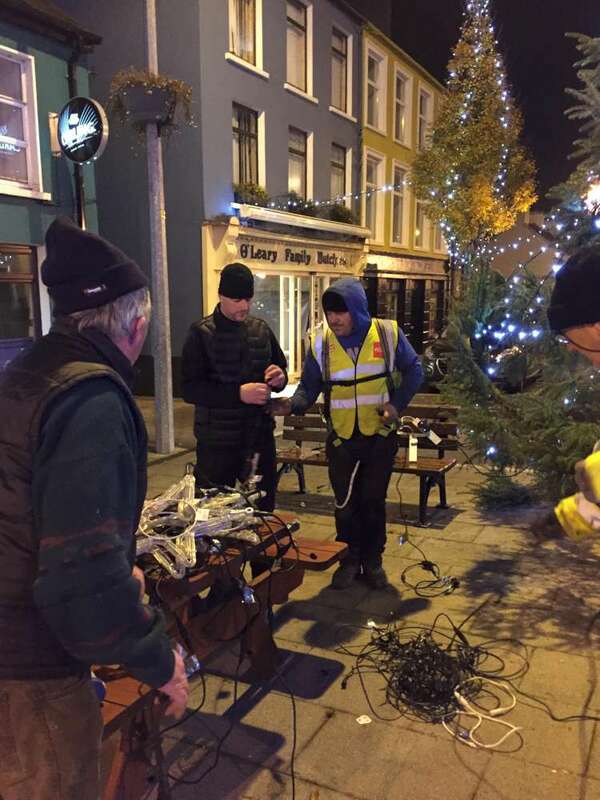 A big Thank You to our volunteers Dinny Lane, Seanie Kelleher, Paddy Roche and Mike Mullane for all their help. 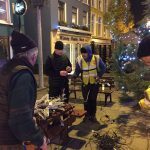 Our busy little elves are working hard behind the scenes preparing for the Christmas Season. 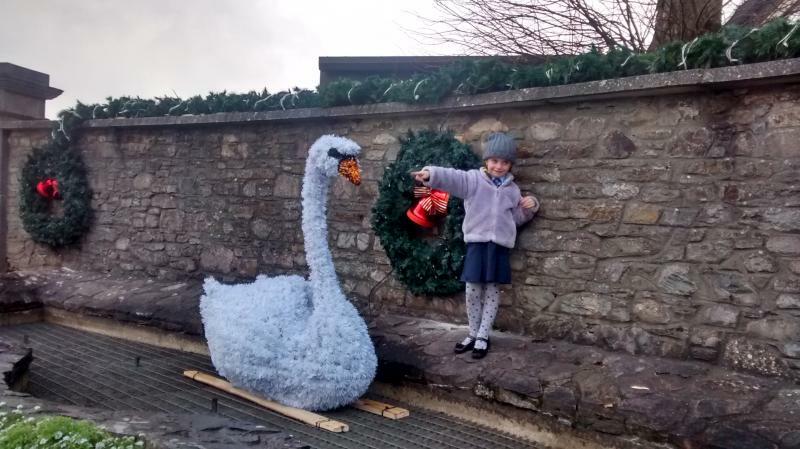 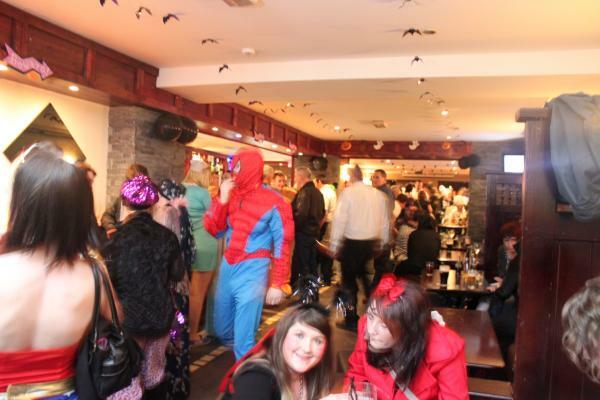 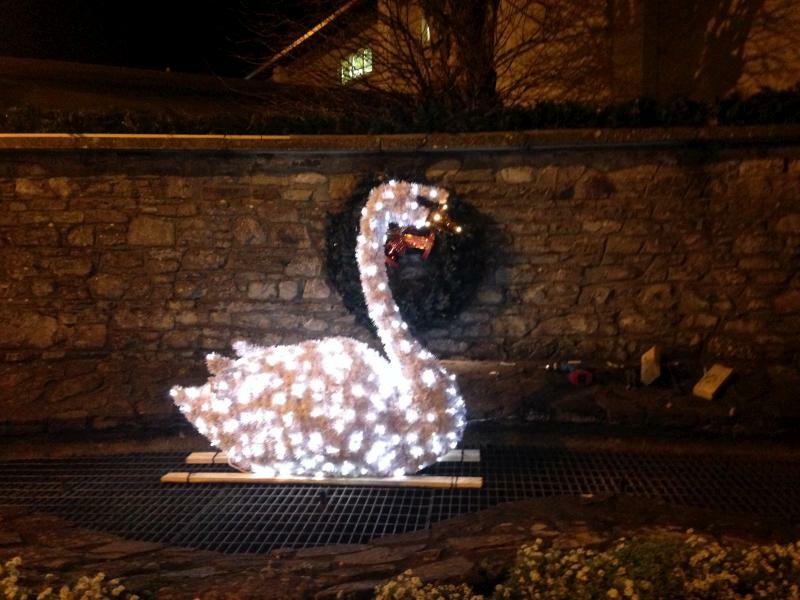 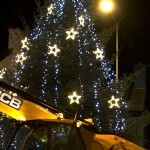 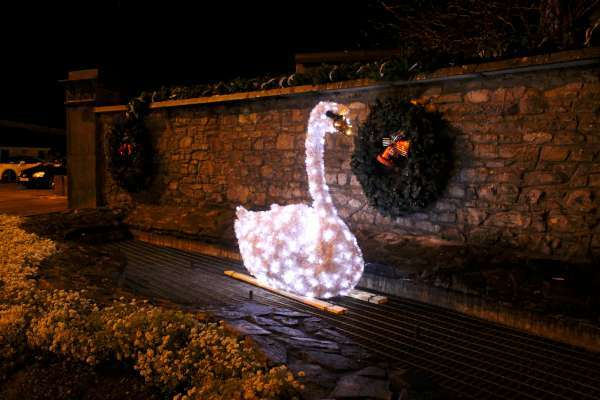 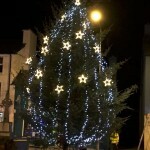 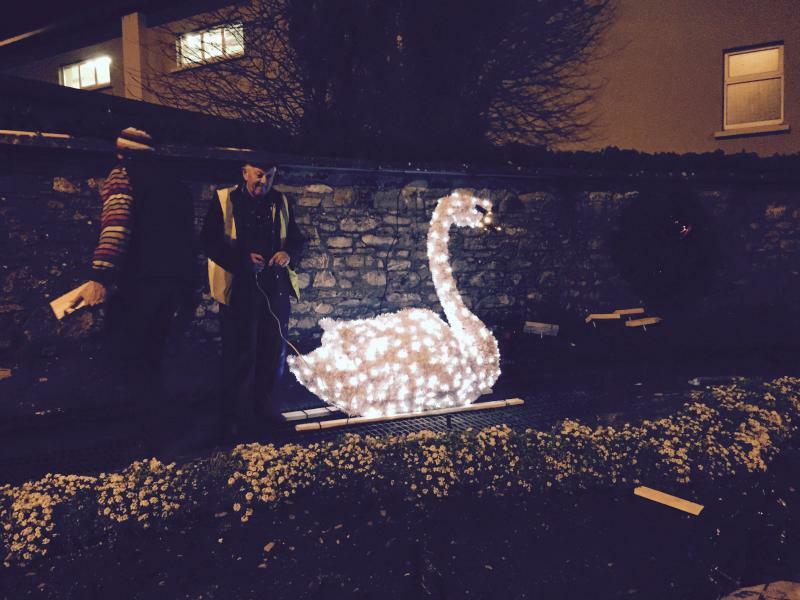 Last years upgrades created a wonderful festive atmosphere around the town. 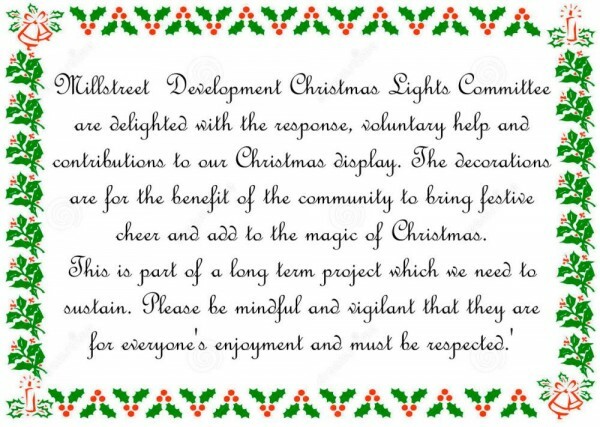 Any donations would be gratefully received to enhance this years Christmas Display. 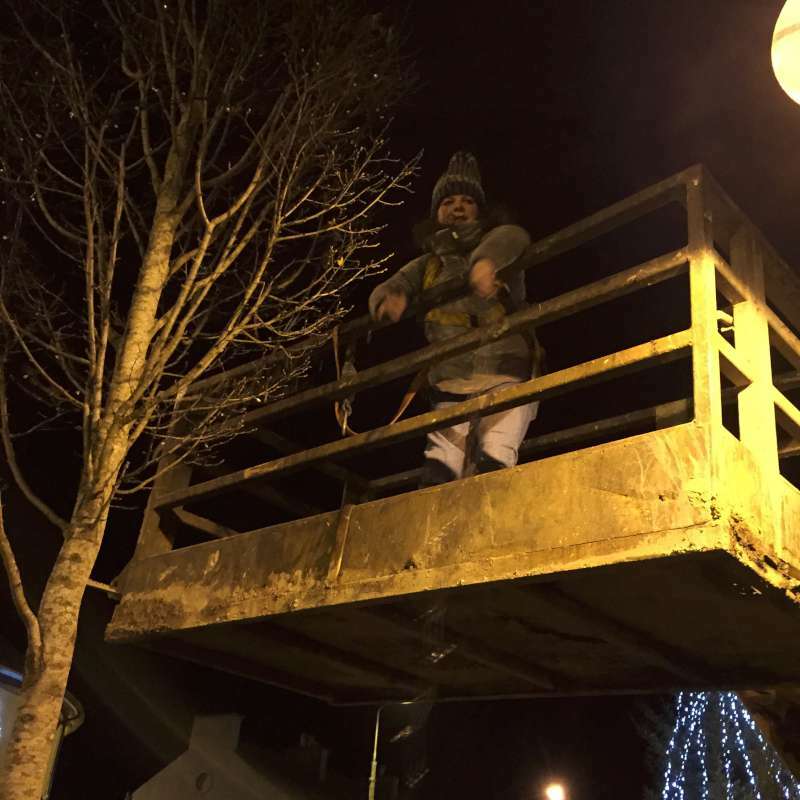 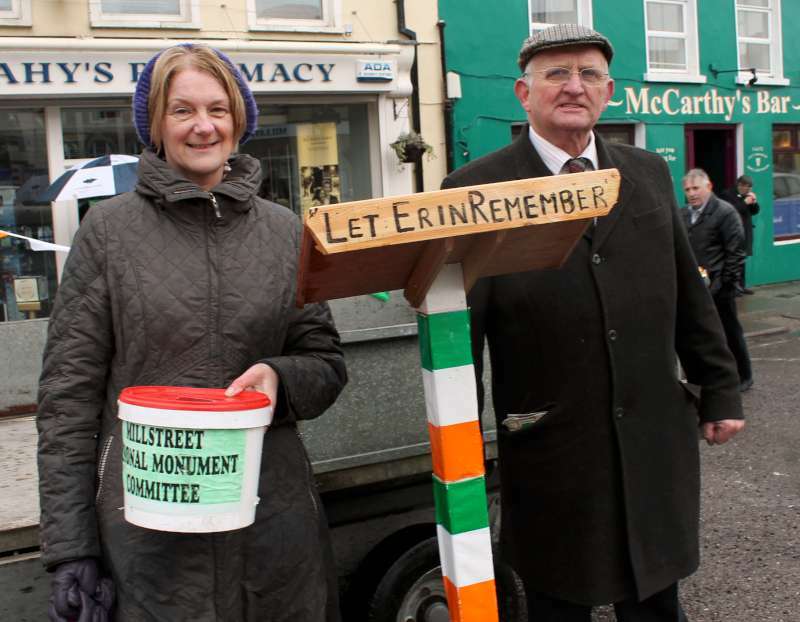 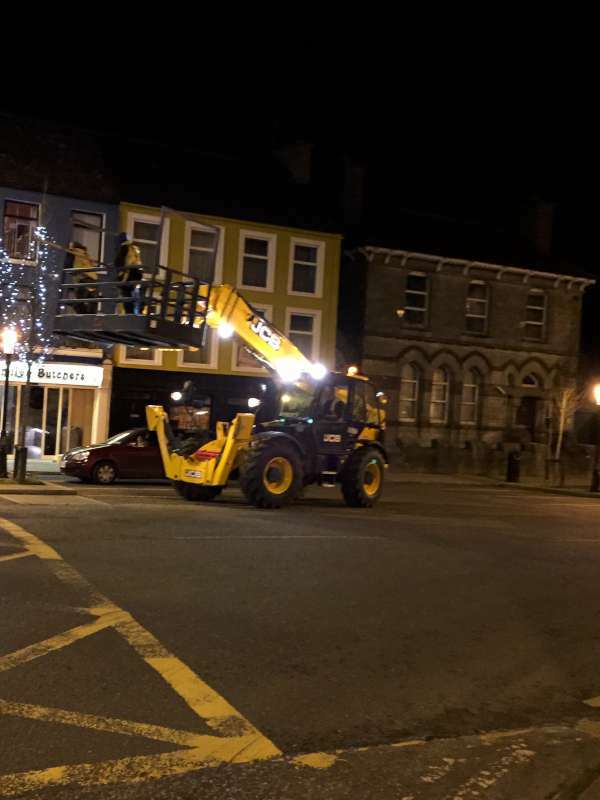 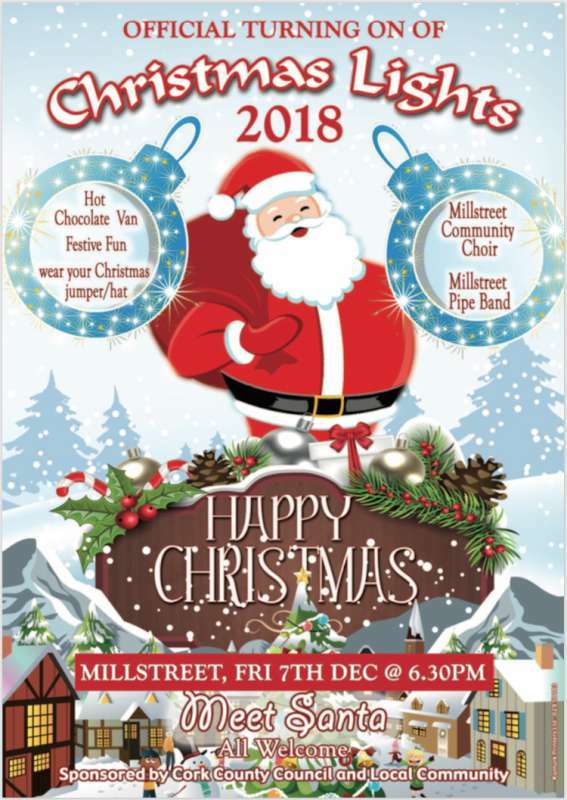 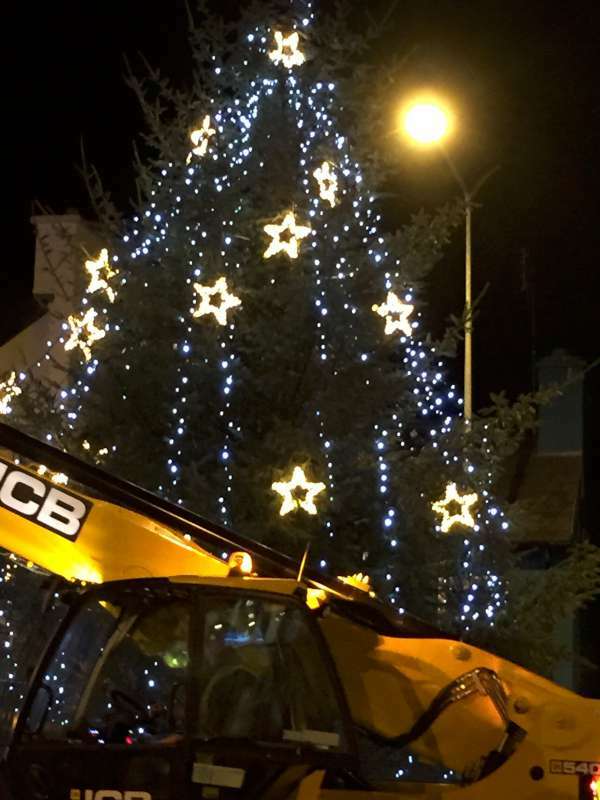 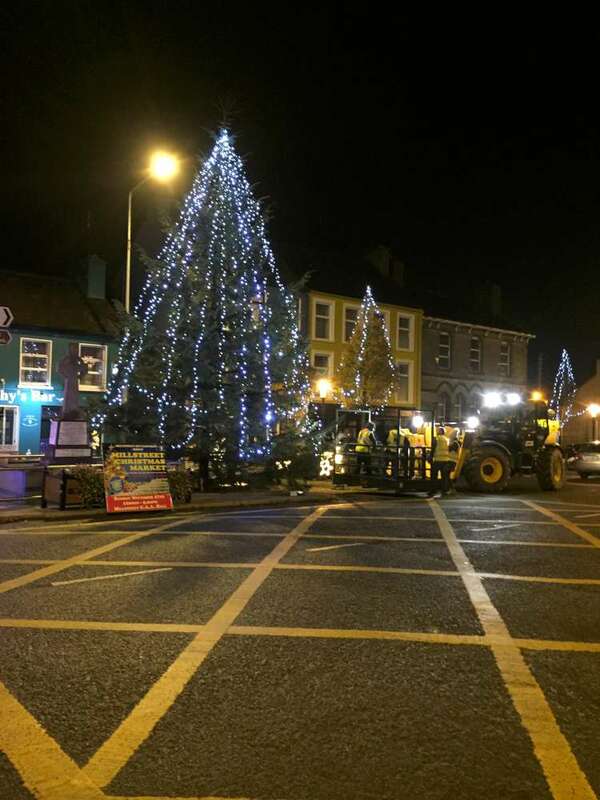 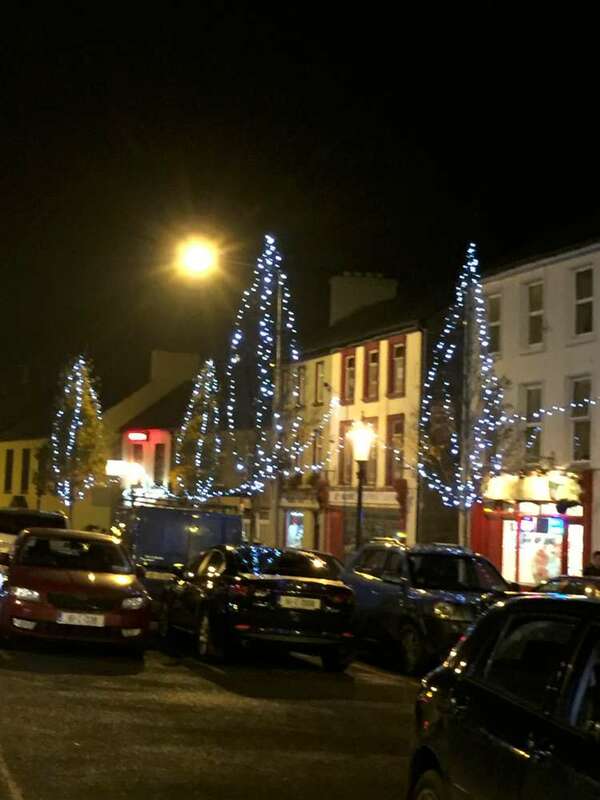 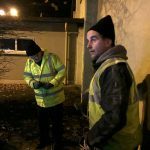 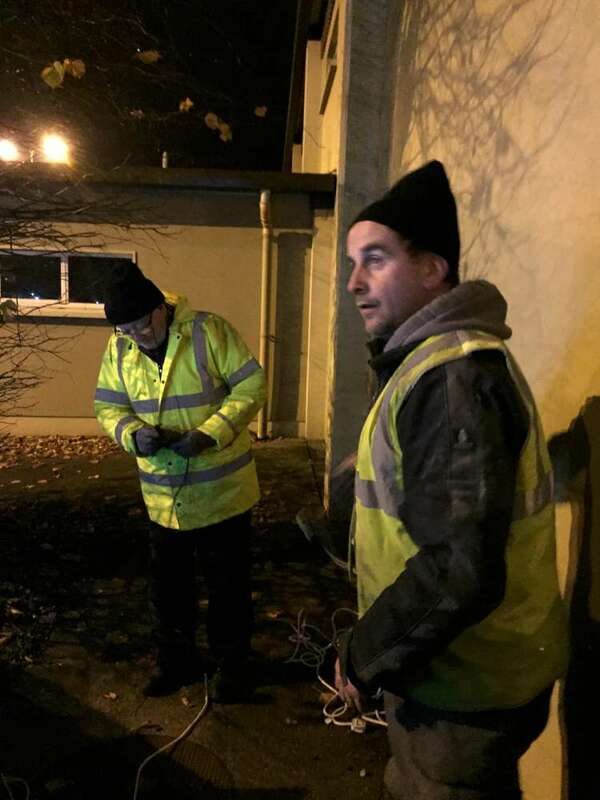 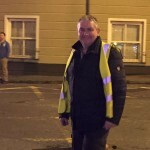 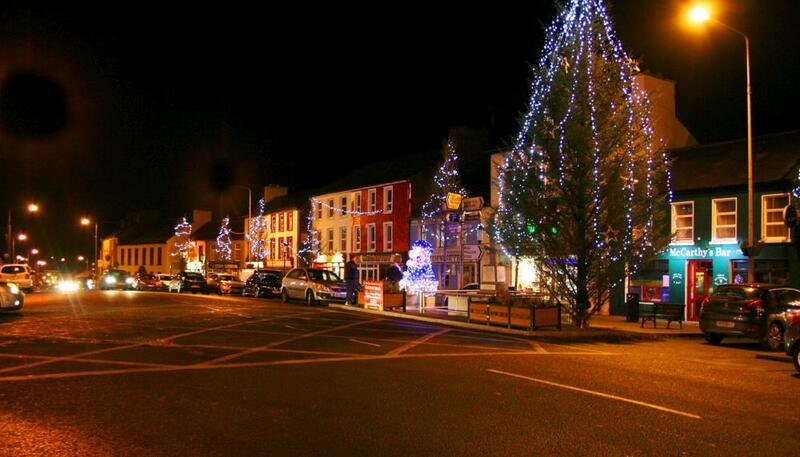 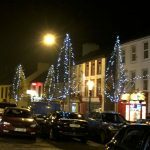 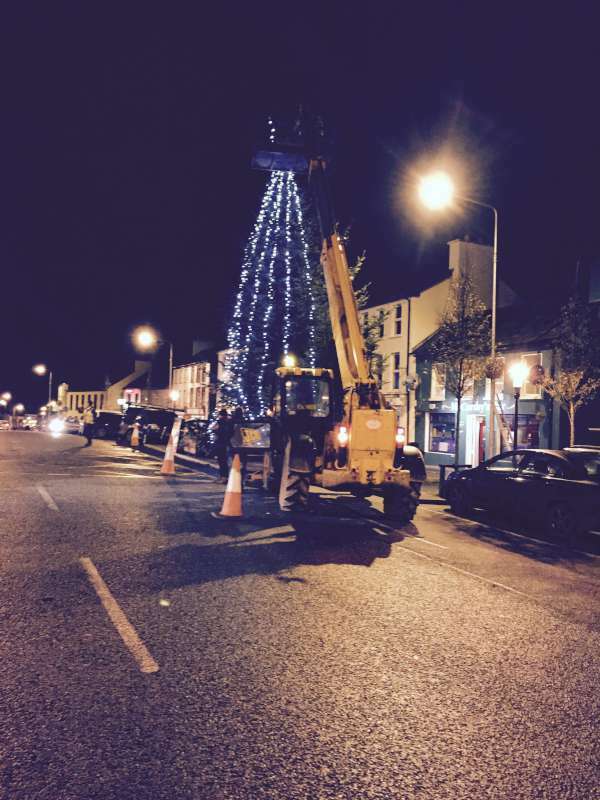 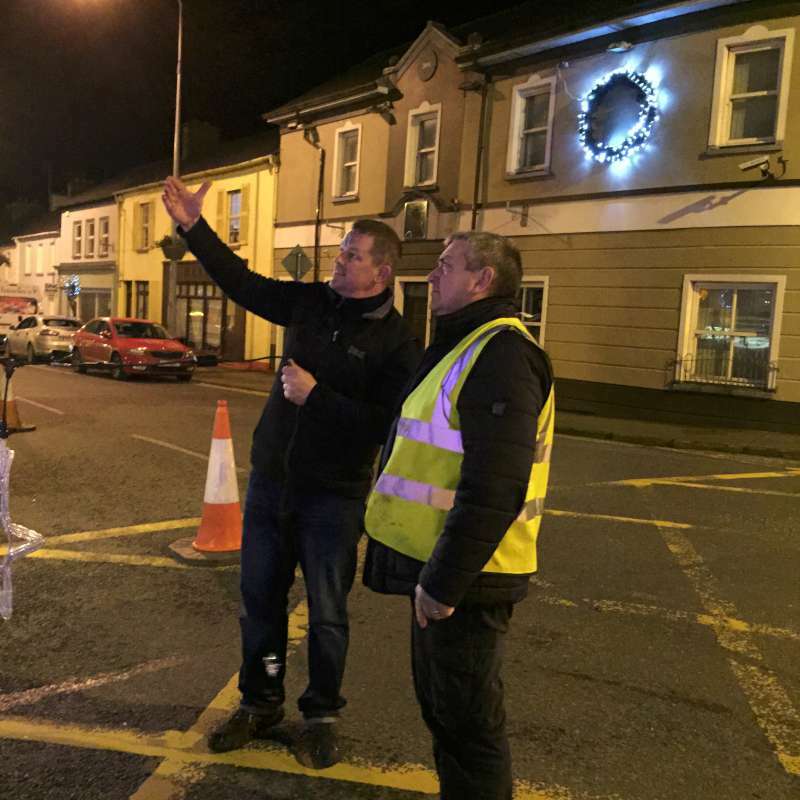 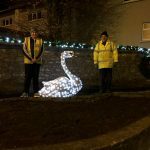 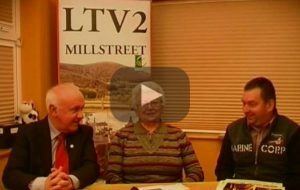 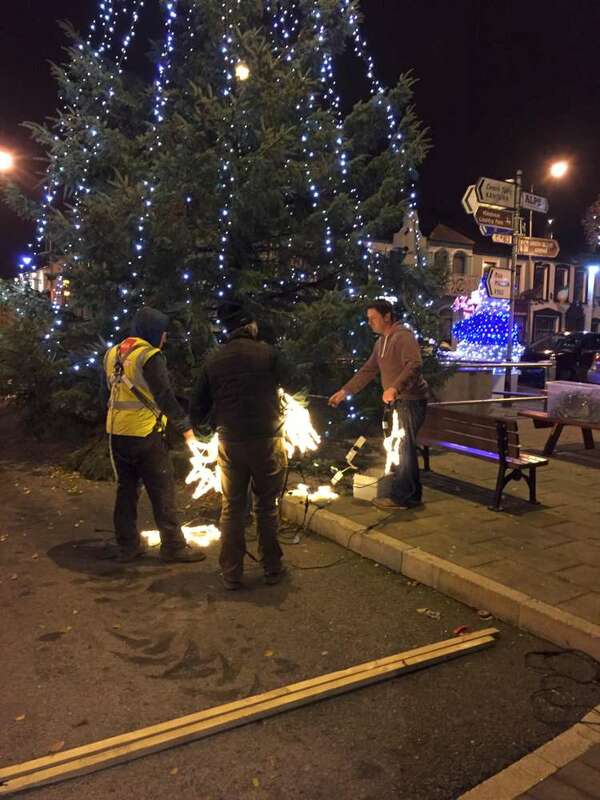 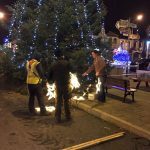 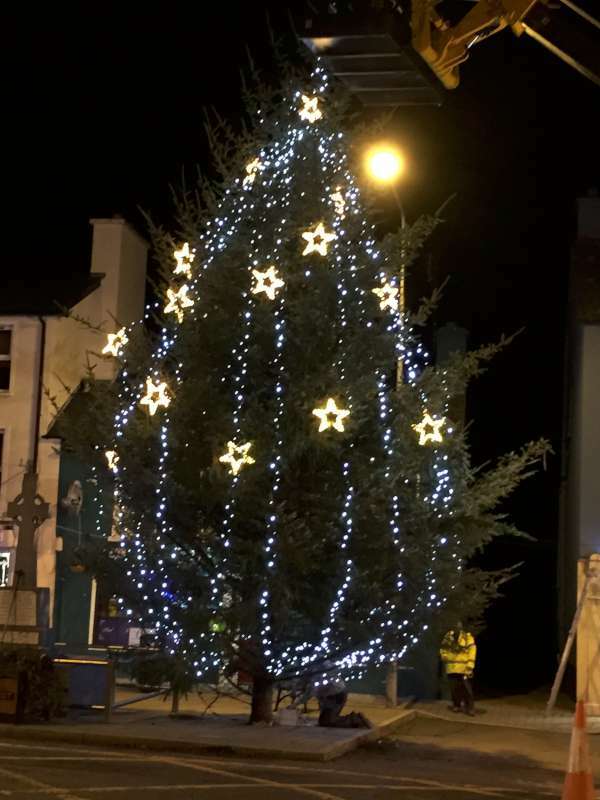 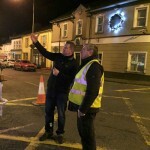 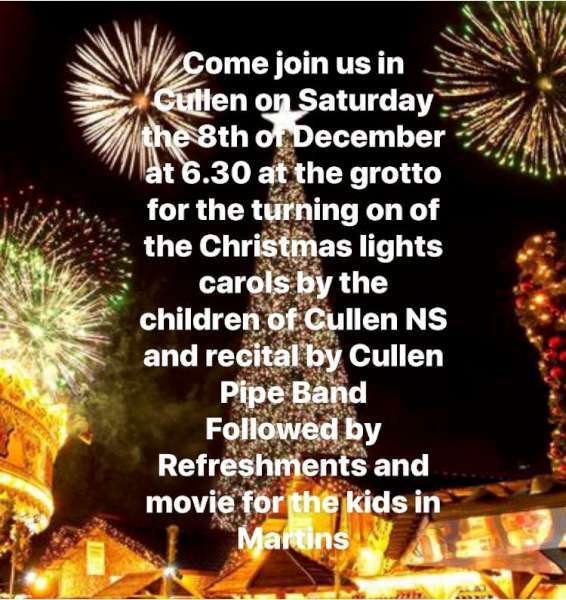 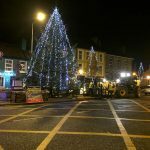 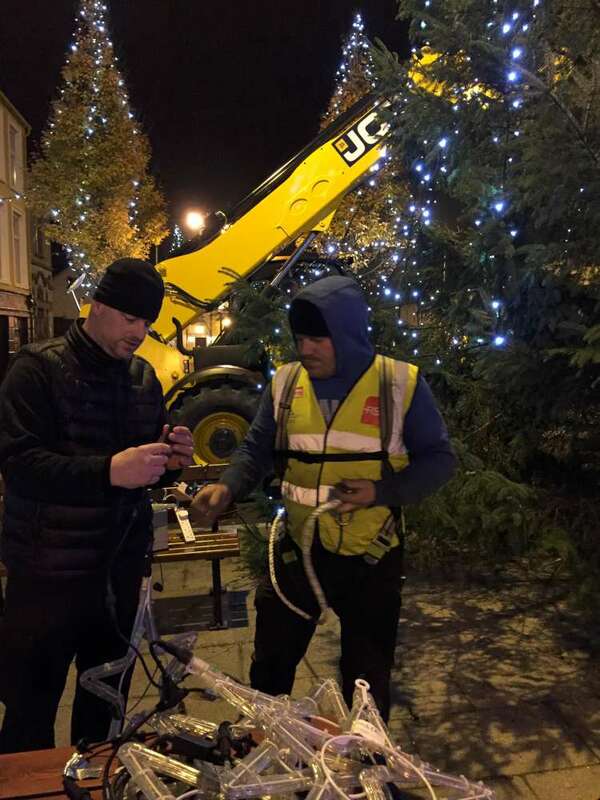 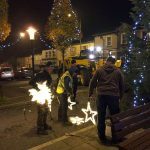 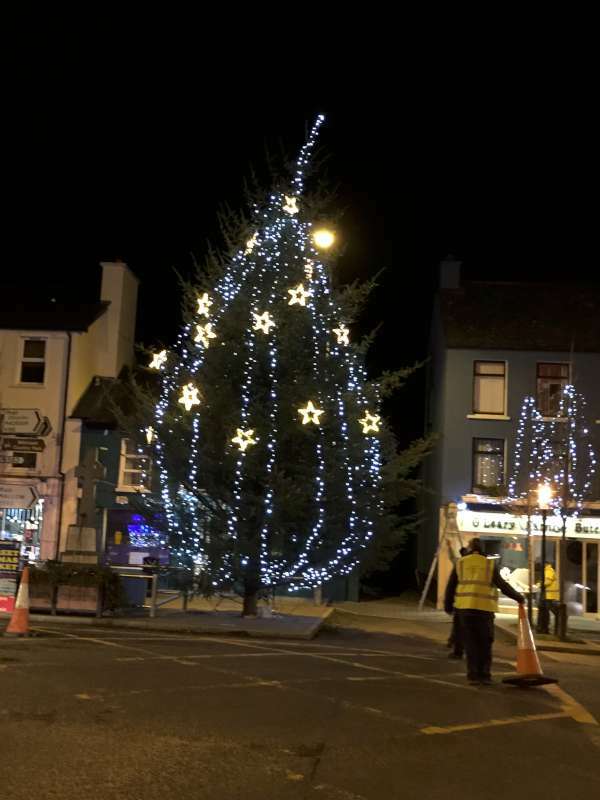 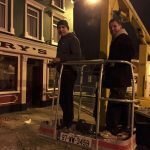 Millstreet Christmas Lights Committee will meet in the Square on Thursday next 28th at 7pm, and would be very grateful to anyone who would be free to volunteer a few hours to help take down the Christmas lights. 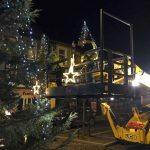 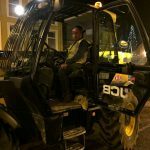 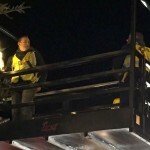 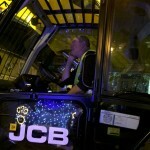 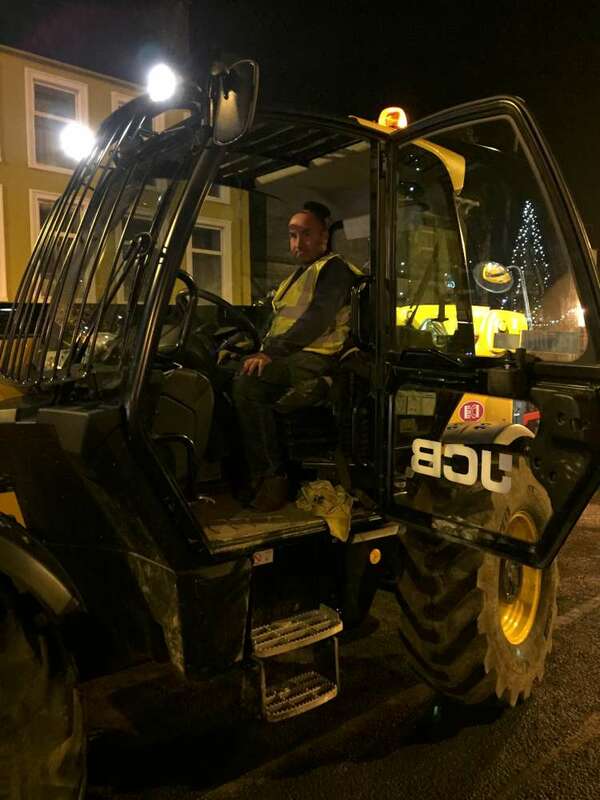 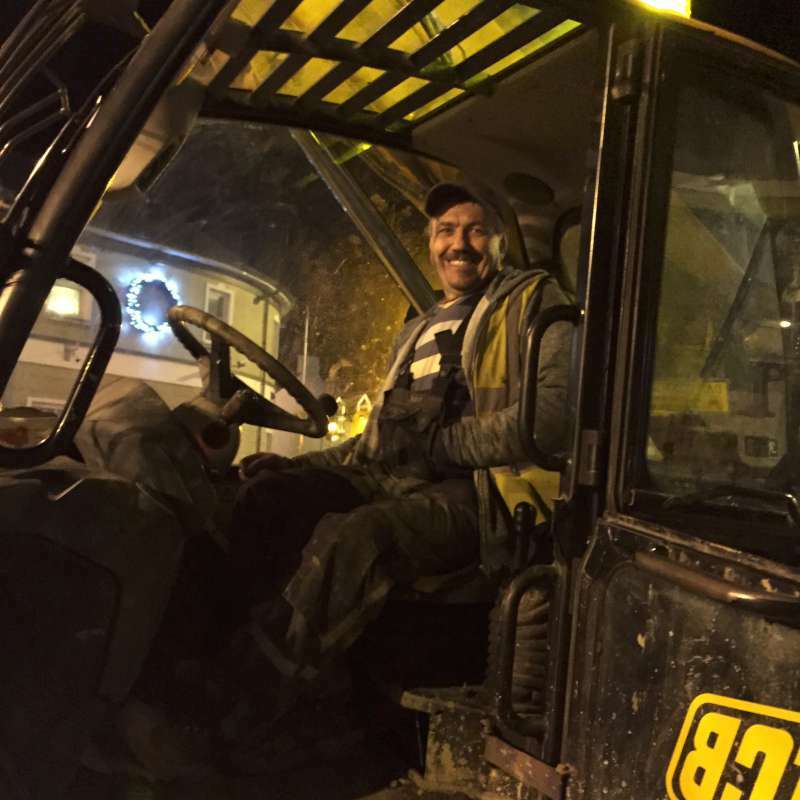 Electricians, helpers and cherry pickers are especially required. 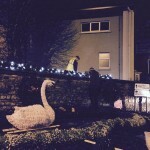 Thanks to all who volunteered and gave of their time to put up our wonderful Christmas display this year. 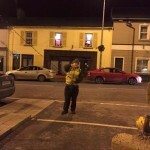 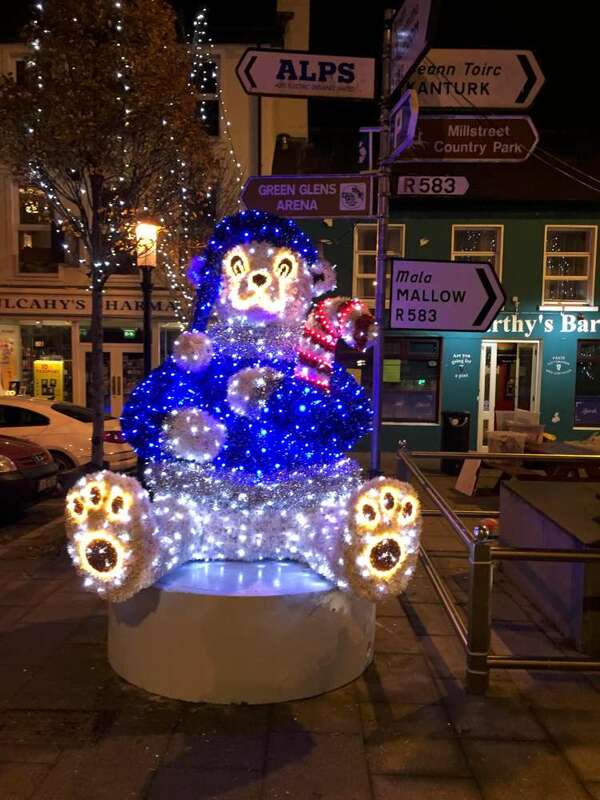 Millstreet’s newest resident to has taken his place in the Square, and the locals have taken to him straight away! 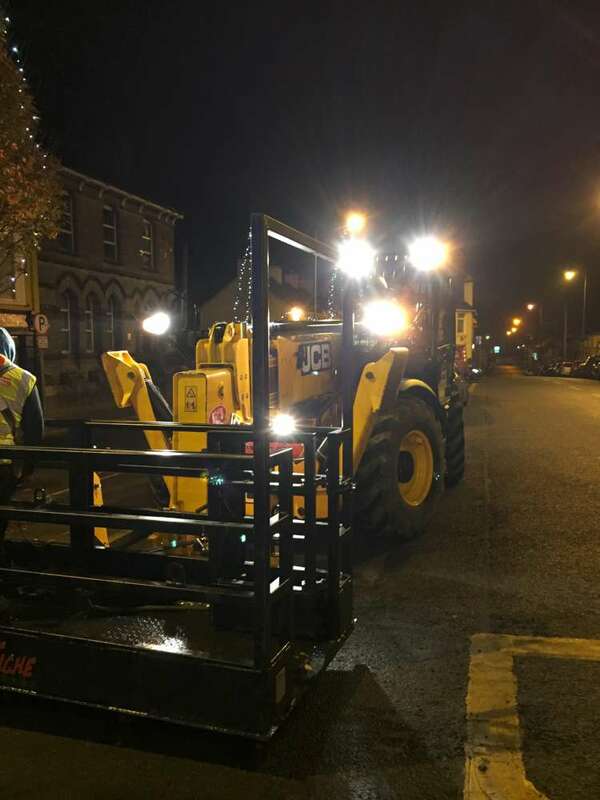 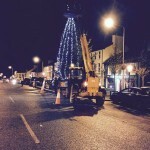 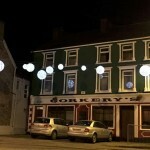 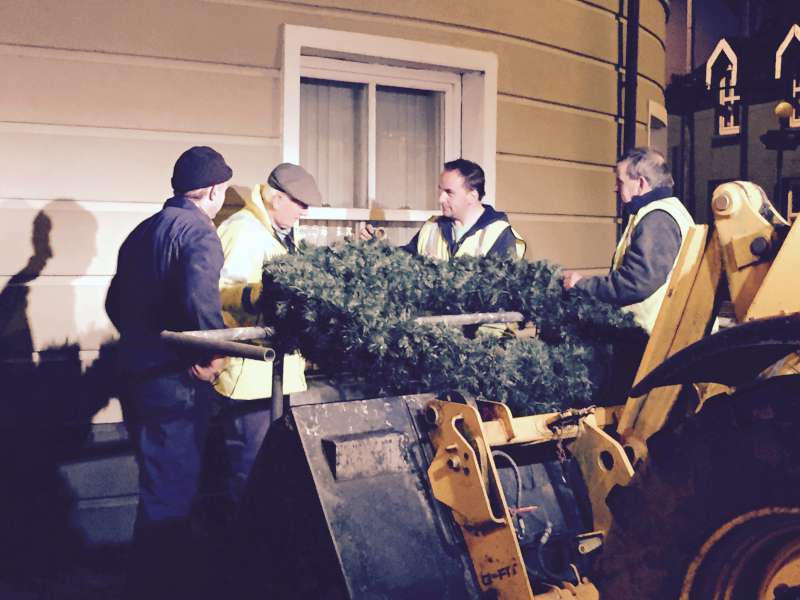 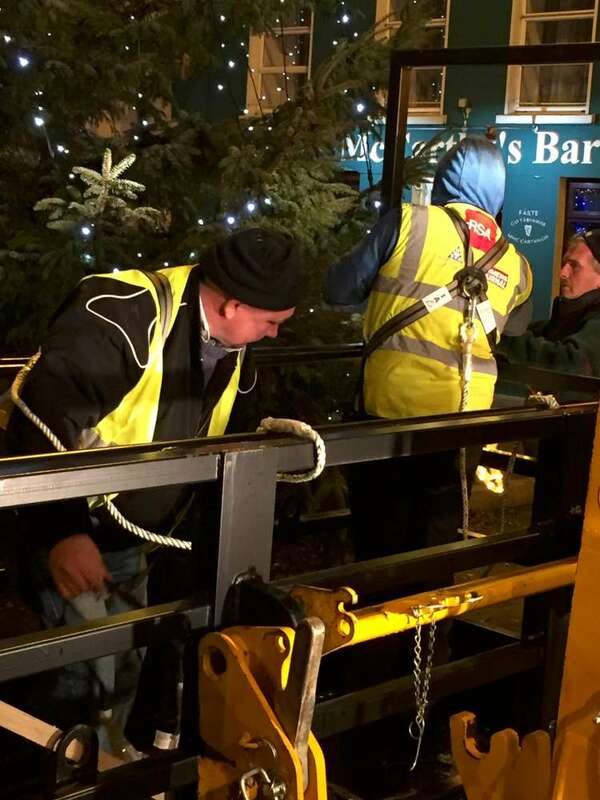 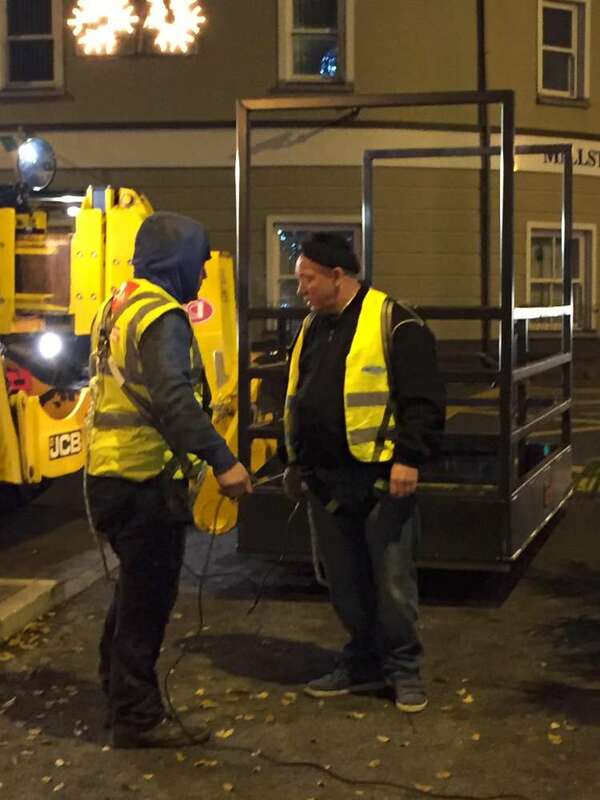 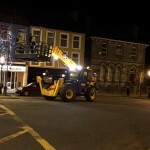 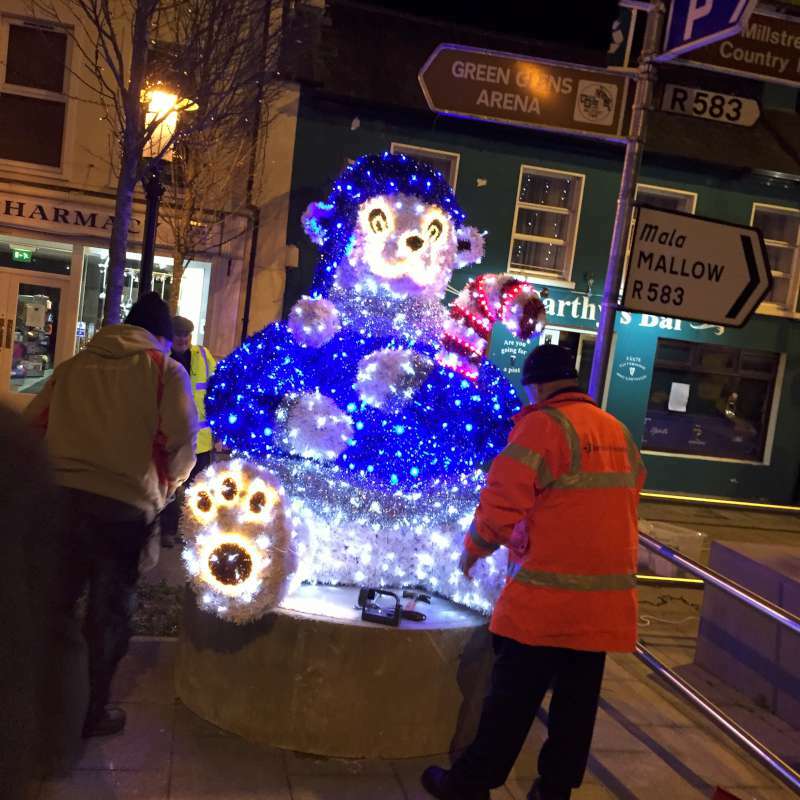 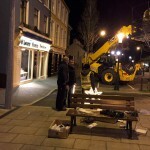 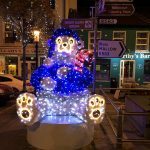 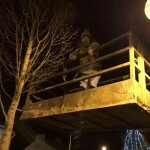 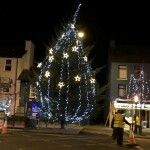 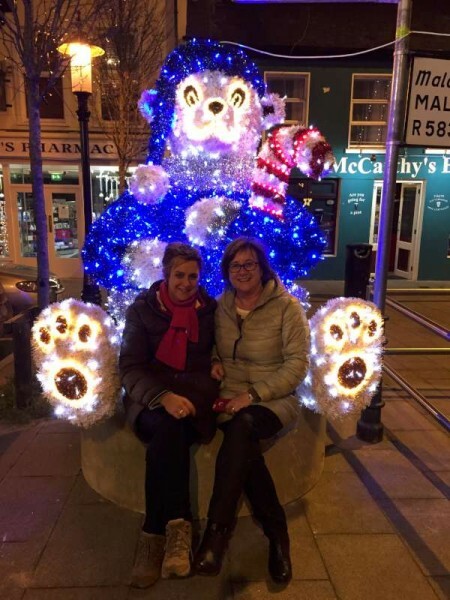 The Bear in the Square is one of the new striking features making up the Christmas Lights in Millstreet this year. 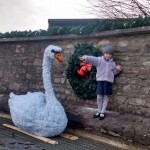 Children (and not so small children) have been visiting him in to admire and have have their photo taken with him. 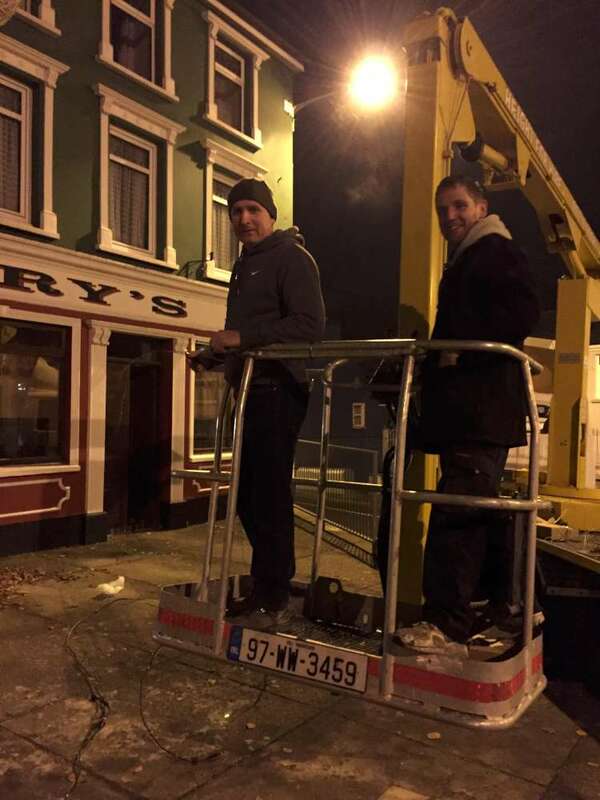 Thanks again to all the volunteers who have been putting the lighting in place. 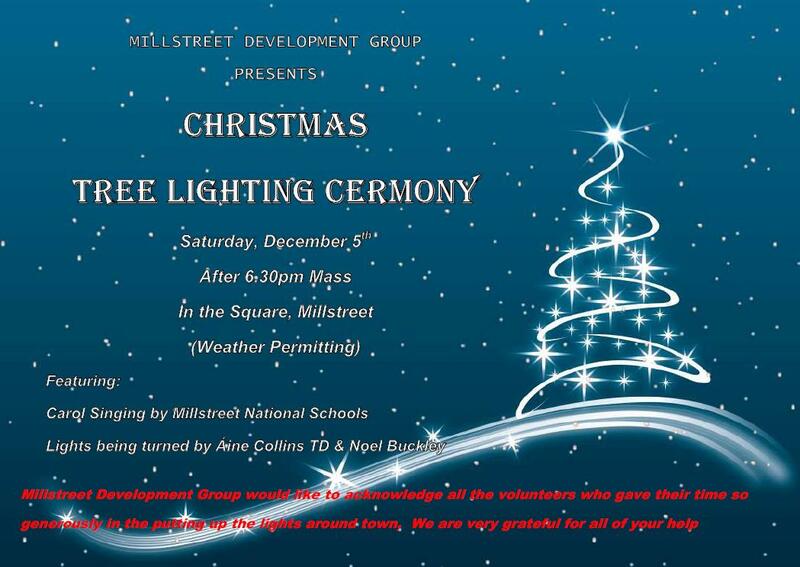 Official turning on of the lights is after 6:30 mass on Saturday evening the 5th. 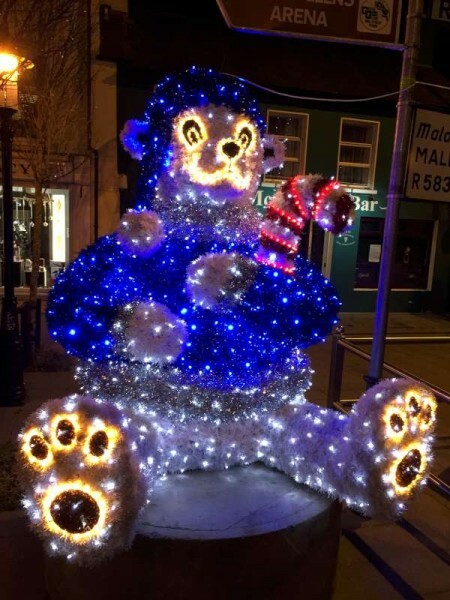 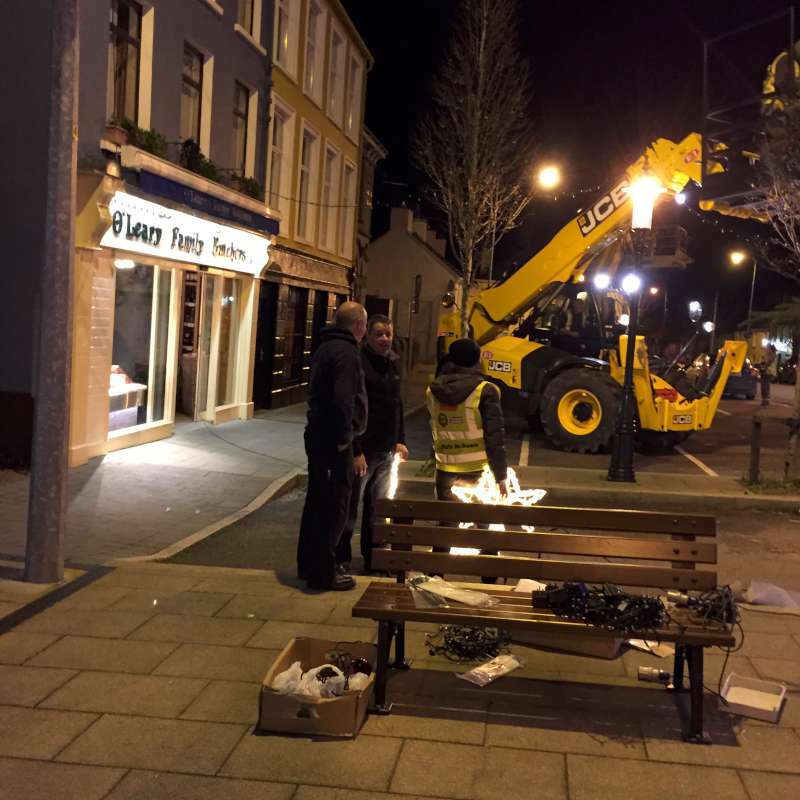 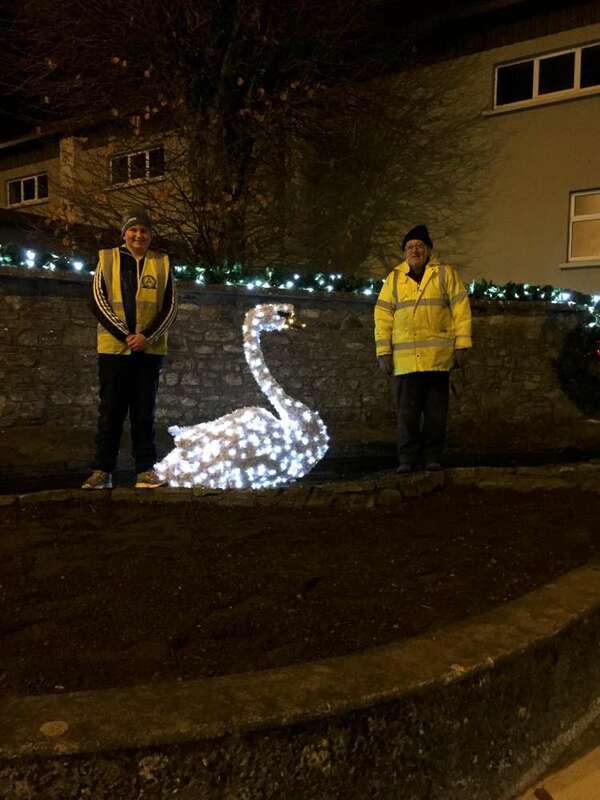 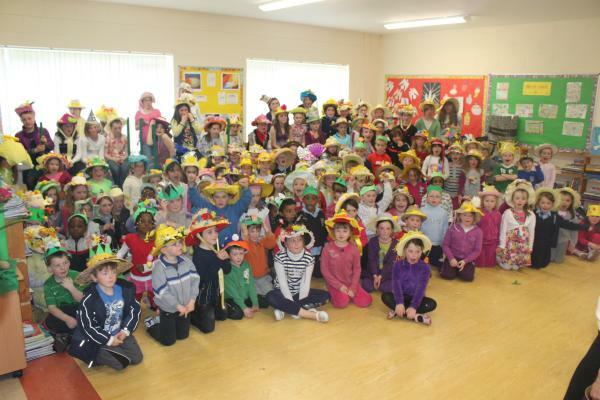 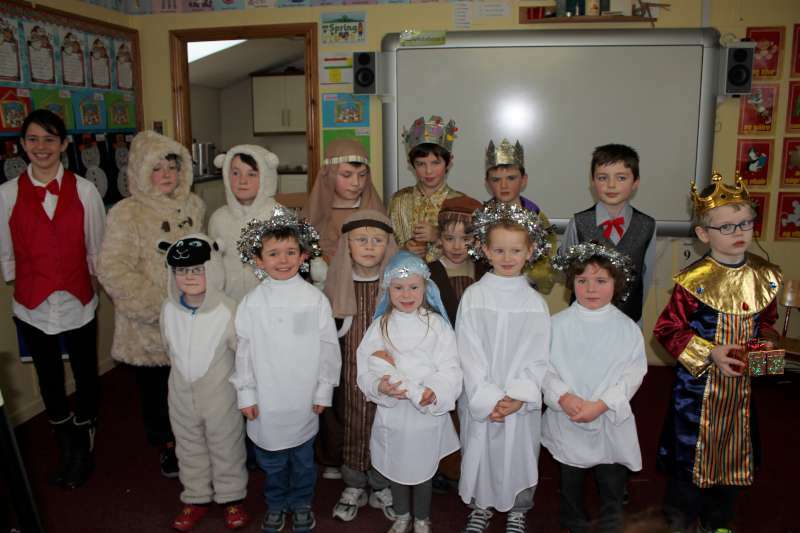 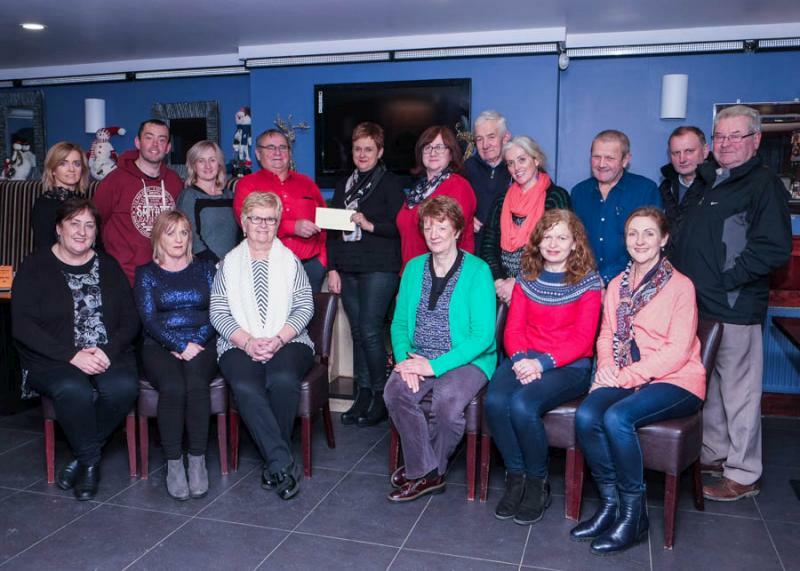 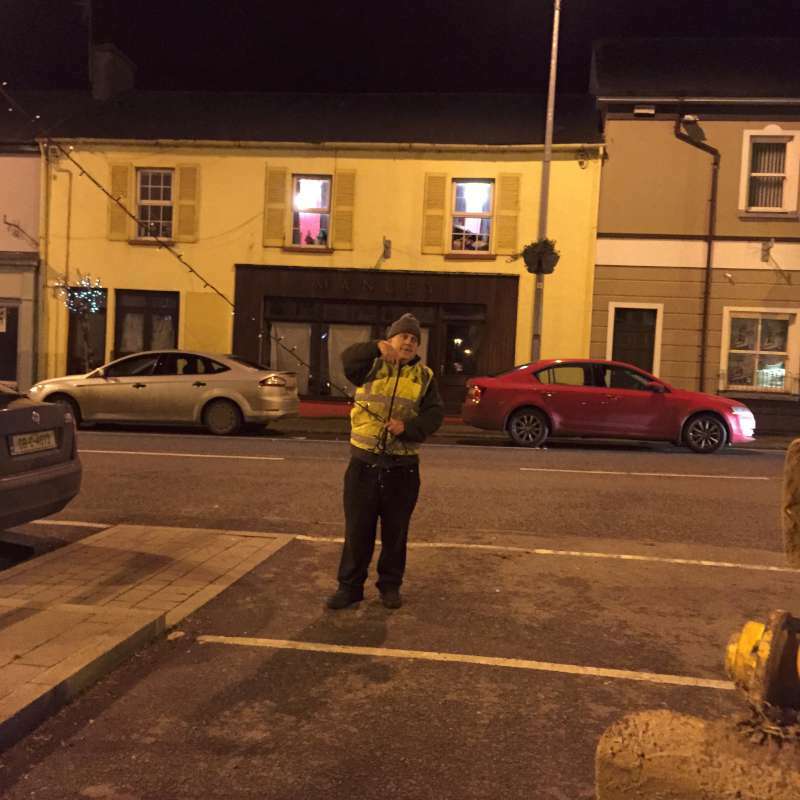 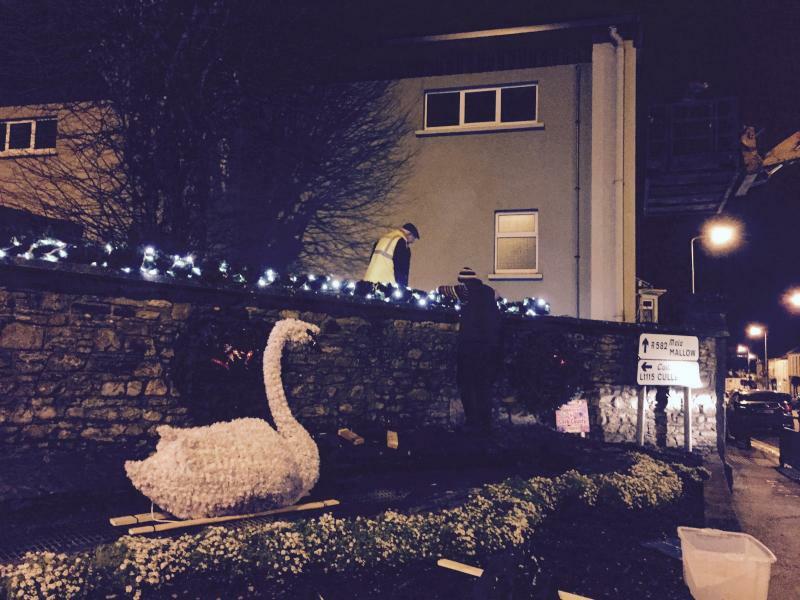 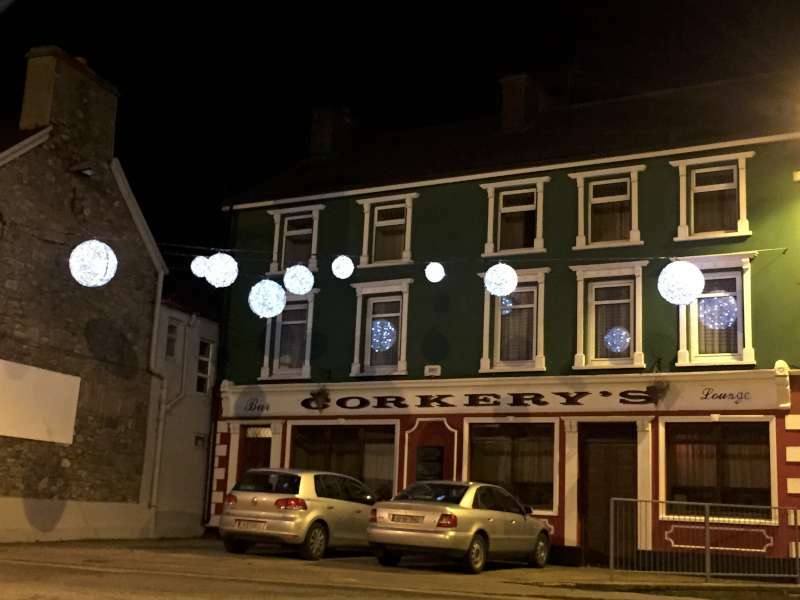 We would like to thank everyone that helped to make the Christmas decoration of Millstreet a success this year. 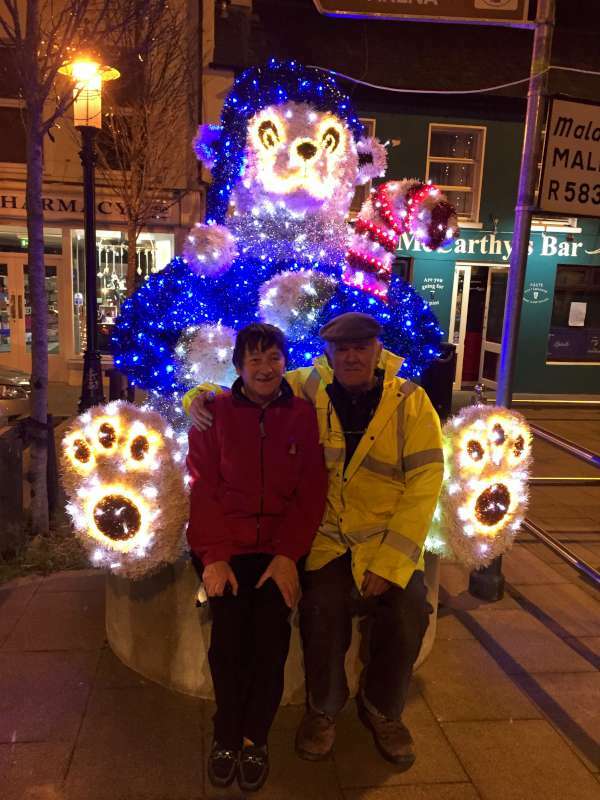 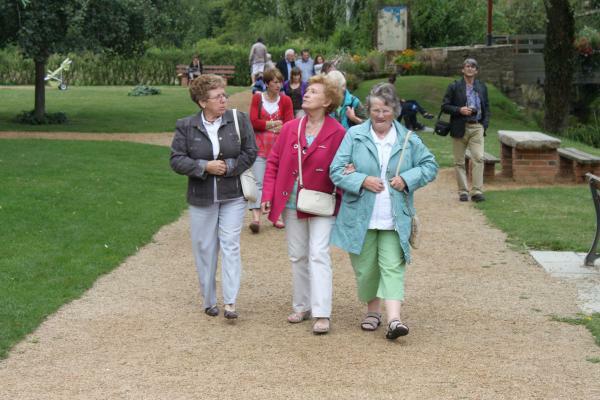 Many people volunteered and contributed in different ways. 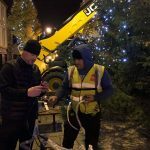 From the electricians, machinery operators and helpers who put up the lights to the houses and businesses and organisations who paid for the electricity, those who donated trees, money, tools, equipment and time, tea and sandwiches and everyone who spread the word – it couldn’t have happened without you and we very much appreciate your help.